CardioView eliminates a large part of these issues by allowing home care providers and physicians to remotely check on the patients. Service calls can be reduced to the minimum required, as the service parameters are also received remotely. Most of the service visits are related to user error and can be solved remotely. With CardioView, you get all the benefits of a typical telemonitoring system, and more. Our unique design eliminates the need for a separate ventilation and telemonitoring device, since it combines the two. 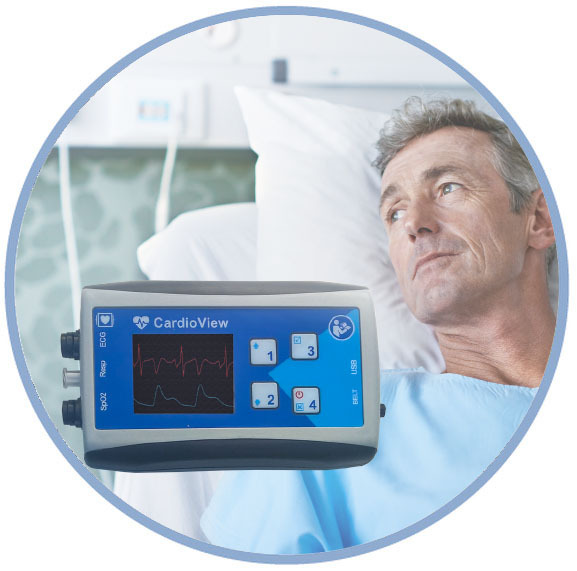 The CardioView unit is connected to the data port of the ventilation device to collect and transmit that data in real-time to the CardioView Server. Any computer with an internet connection and web browser can be used to monitor the data—anywhere and at any time.